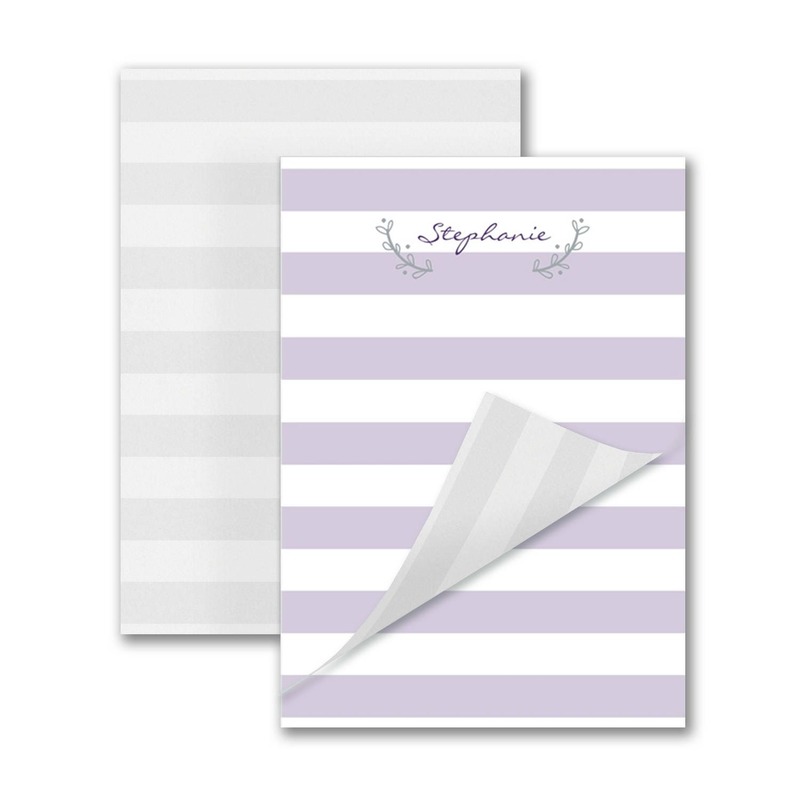 This personalized notepad is perfect for various kinds of notation. Jot down your grocery list, important reminders, notes, to do and much more. Product photo above displays the front and back of a sheet of notepad paper (not two notepads). featuring a light gray laurel vine and a darker violet purple cursive name. The back side of a sheet of notepad paper is printed in light gray wide horizontal stripes. •Dimensions: 5 1/8" x 7 1/4"
3 working days and then your notepads will be ready to ship. If you want to see a proof before printing, your notepads will take 3 working days after you approve the emailed proof. A proof can be emailed to you within 12 hours of purchase if you select proof needed. Please provide a home or work address for UPS to ship to.